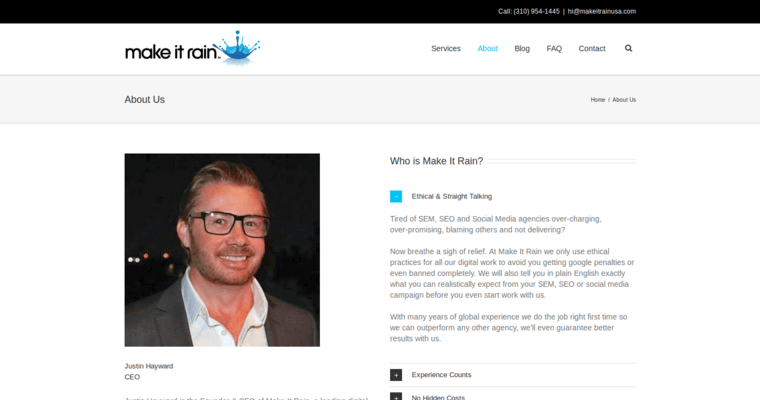 Make It Rain is an SEO company based in Los Angeles, CA. They are Google Partners and trusted experts in SEO, PPC and social media. Recognizing that every business is unique, the team at Make It Rain develops customized digital marketing campaigns that meet the specific needs of brands. Over the years, Make It Rain has proven their ability to help brands accelerate revenue growth. Independently owned, clients often view Make It Rain as a trusted partner and extension of their business. 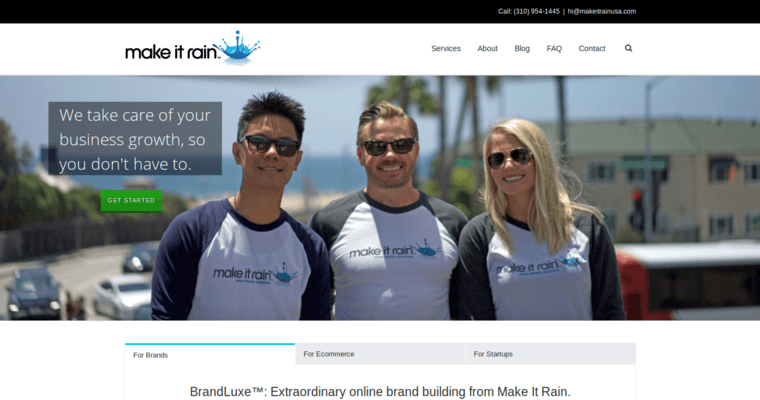 The close-knit team at Make It Rain has the expertise and insights of a large agency, which they leverage to create brand experiences that connect with your target audience. Their social media capabilities include Twitter retargeting, Facebook advertising, content development, follower engagement and crisis management, among many other services. 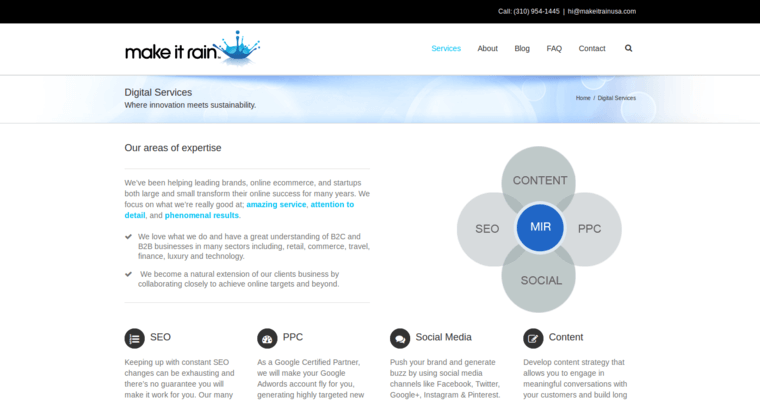 Make It Rain also offers brand reputation management to optimize the appearance of your business online.